Our Sahara Rear Tailgate Spoiler is a superb upgrade your VW T5 Transporter Caravelle, Shuttle, Multivan (T26, T28, T30 and T32) Vans giving a great look and custom dynamics to your VW Camper too. Molded using the latest GRP technology the Sahara spoiler is supplied with CANDY WHITE LB9A/B4 painted finish. Our spoiler is totally NON DRILL unlike the VW OEM spoiler. 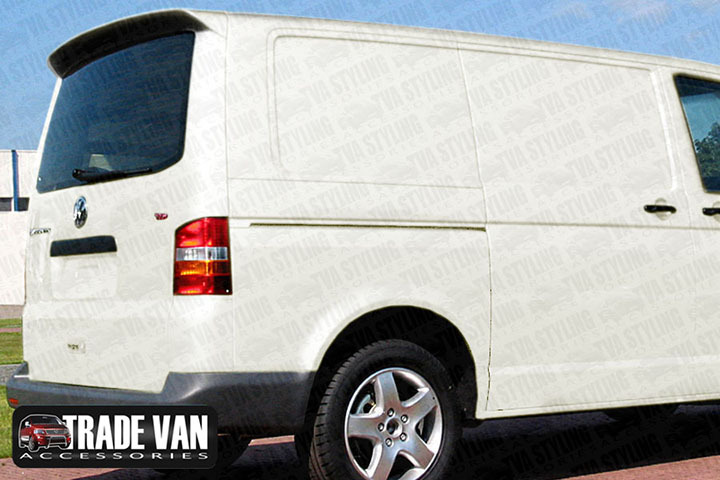 Click the button below to add the VW T5 Transporter Tailgate Sahara Spoiler - Candy White - to your wish list.